A new Jewish deli has opened its doors in the neighborhood. Located at 7060 Germantown Ave. in Mount Airy, the new addition is called Cooperman's Deli. All the classics are on offer here, from bagels and whitefish to pastrami on rye to brisket. Bagels or muffins can be topped with up to three mix-ins from Cooperman's cream cheese bar, including parsley, horseradish, red beet, cinnamon raisin, honey, smoked salmon and more. With a five-star rating out of two reviews on Yelp, Cooperman's Deli is off to a strong start. Charles E., who was the first Yelper to review the new spot on May 23, said, "I ordered the Jess combo: hummus on a toasted everything muffin, a side of coleslaw, fresh pickles and a soda for $12. The food was fresh -- everything made on-site. Service was at the counter, friendly and fast." 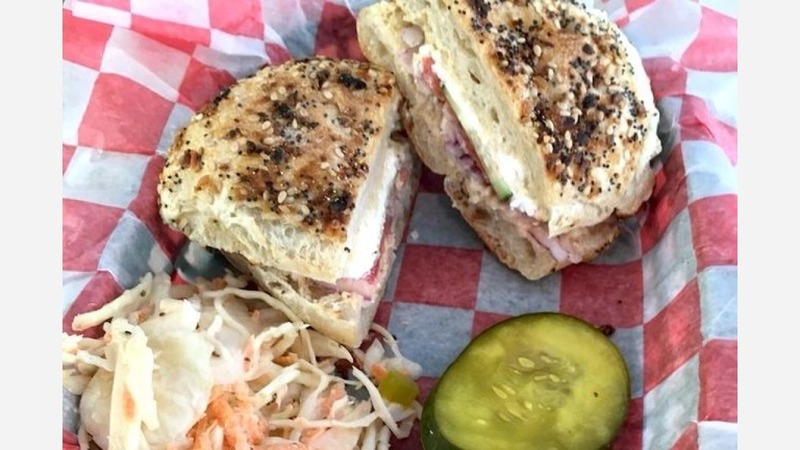 And Yelper Dan D. added, "I have tried the bagel and lox, the corned beef and pastrami as well as an everything bagel with cream cheese. Everything was good. Be aware that the onions with the bagel and lox are pickled, which gives it a bit of a different flavor but is still very good. Most of the ingredients are made from scratch and are very high-quality. The owners and the employees are very nice. The chef/owner loves to geek out about food."